Tens of millions of people in the U.S. suffer from arthritis. This disease comes in two basic categories. 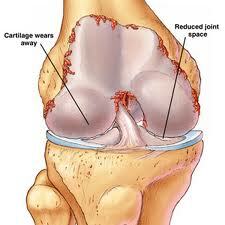 Osteoarthritis is a condition described as a simple wearing out of the joints. Rheumatoid arthritis is a condition which affects your immune system. Not only does rheumatoid arthritis affect your daily living, limiting what you used to do, but the costs associated with the drugs, and possibly surgery, are overwhelming in of itself. Before we get into how at Georgia Clinic of Chiropractic, we can help those suffering with rheumatoid arthritis, let’s first understand what it is. Rheumatoid arthritis is a chronic disease characterized by inflammation of the lining of the joints. It can lead to long-term joint damage, resulting in chronic pain, loss of function and disability. Fatigue, sometimes fever, and a general sense of not feeling well. Pain and stiffness lasts for more than 30 minutes after a long rest. The wrist and finger joints closest to the hand are most frequently affected. Neck, shoulder, elbow, hip, knee, ankle, and feet joints can also be affected. Rheumatoid arthritis progresses in three stages. The first stage is the swelling of the synovial lining, causing pain, warmth, stiffness, redness and swelling around the joint. Second is the rapid division and growth of cells, or pannus, which causes the lining to thicken. In the third stage, the inflamed cells release enzymes that may digest bone and cartilage, often causing the involved joint to lose its shape and alignment, more pain, and loss of movement. Trying to mobilize joints and slowing the progression of the disease. Helping to improve the range of motion. Increasing your muscle tone and strength. Chiropractors can also give you nutrition and supplementation advice that can be helpful in controlling and reducing joint inflammation. I’M NOT SURE IF THIS IS EXACTLY WHAT I NEED. WHAT SHOULD I DO? You are more than welcome to schedule a complimentary visit with Augusta GA Chiropractors Georgia Clinic of Chiropractic. Simply call us at (706) 814-5053 and let us know that you would just like to come in and speak with us, and you’re still not sure if there’s something we can do for you. If your condition is out of our scope of services, we will research who the best fit for you will be, and will give you a professional referral.